Think of where you have found some of your most successful candidates in the past. Was it through networking? Social media? What qualities did these candidates have that made them successful? Were they avid volunteers or did they hold certain skills from past jobs that were particularly useful? Put more effort into those hiring sources and search for candidates with similar skillsets and backgrounds. Another one of the important nonprofit recruiting tips that will benefit your company is searching for candidates that are a cultural fit. First, think of what the qualities are of your corporate culture. Are you a small, tight knit company? Do you keep a relaxed atmosphere with flexible hours? Do most of the people that work for you wear multiple hats and are willing to complete a variety of tasks that come up? Soft skills such as critical thinking, resilience and flexibility are most important for finding a cultural fit. It is much harder to change someone’s personality, but you can teach them the hard skills needed for the job, such as event planning or computer programming. 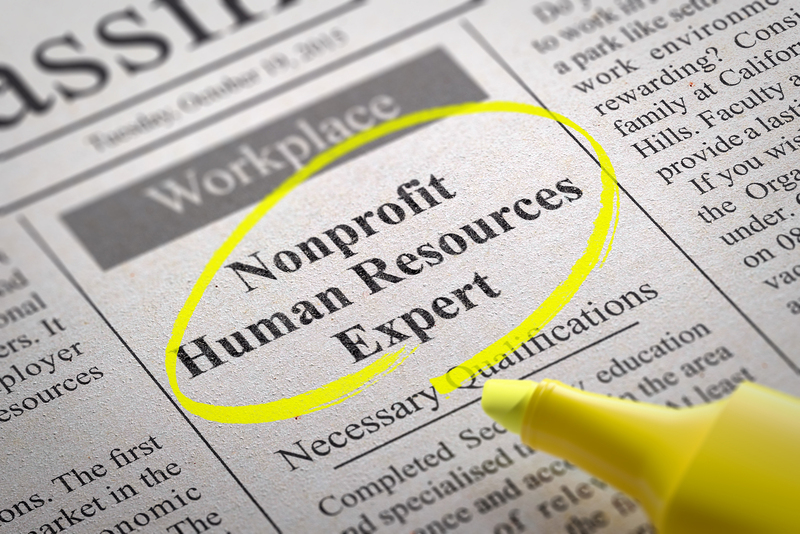 Searching for candidates whose past job titles are on the same level you are hiring for is one of the important nonprofit recruiting tips. For example, don’t try to hire someone who was a Director of Public Relations if you can only afford to pay the salary of a Public Relations Manager. You will only end up with overqualified candidates who either won’t take the job or take the job and become resentful and unhappy. Make sure your job ads clearly state the mission of your company, and how the position in question would contribute to it. When you find candidates that have certain traits or experience that relates to your mission, show them how much they can contribute to your company during the interview. Also explain how this position can turn into a long-term career opportunity in the future with meaningful goals. Lastly, one of the important nonprofit recruiting tips is to avoid rushing into the wrong hire for the sake of filling the position. Take your time and don’t settle for the wrong person. It helps to have a pool of passive candidates that can fill future positions at your company. During the hiring process, do multiple interviews and pay close attention to the small things. Some of the red flags to look out for during the hiring process include someone that has changed jobs often after only a couple of months, lacks substantial career goals, and fails to write a proper thank you letter after interviews.